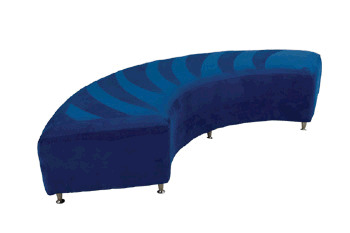 Our upholstered CURVED seating ottoman is great as a stand alone pieces or can be combined with additional units to create circular or "S" shaped seating arrangements. Ask about our slipcover options on this item. Custom Made in Los Angeles USA: Please call or email for current production times.